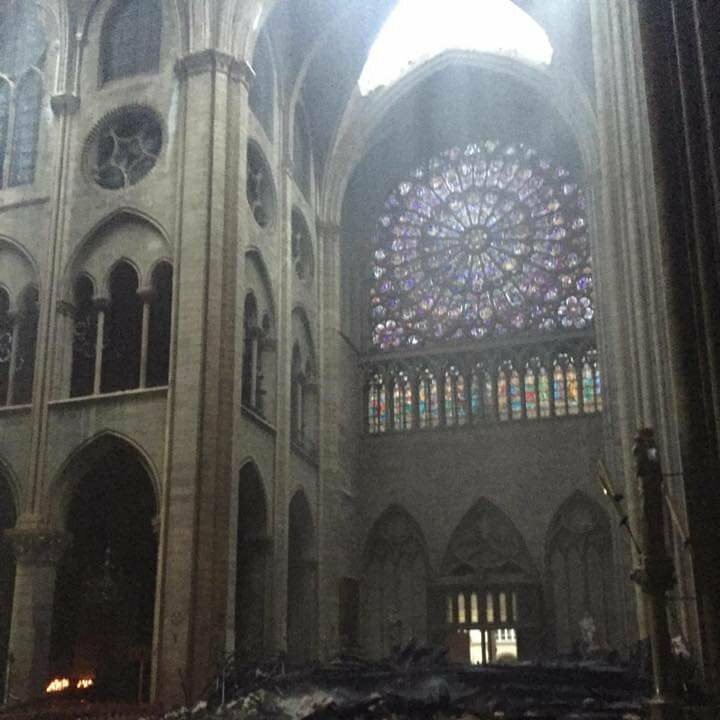 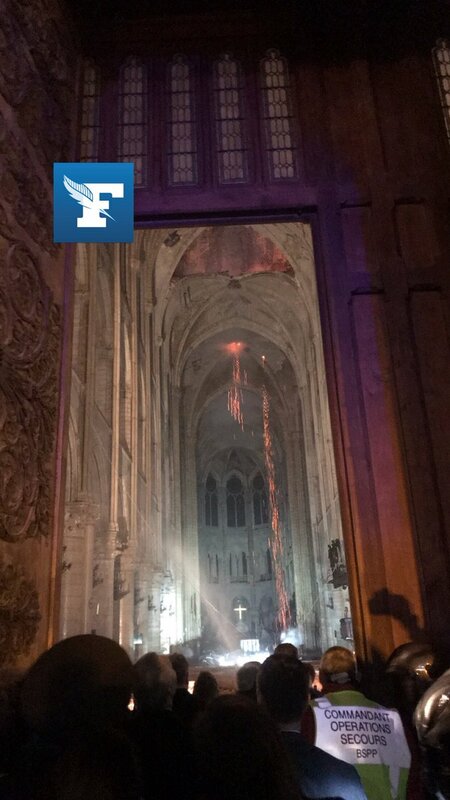 #NotreDameDeParis Inside the cathedral, part of the roof was blown away by the flames. 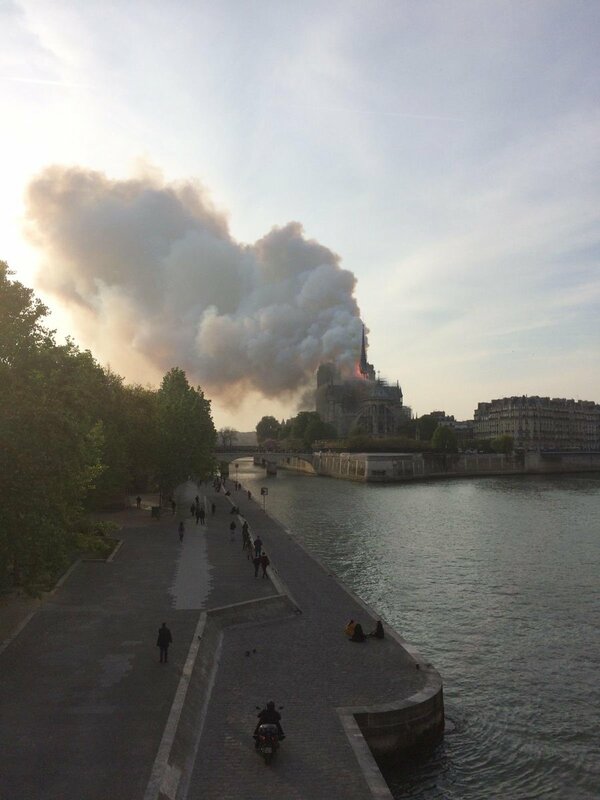 The fire is not yet fully controlled, and drafts of embers fall to the ground. 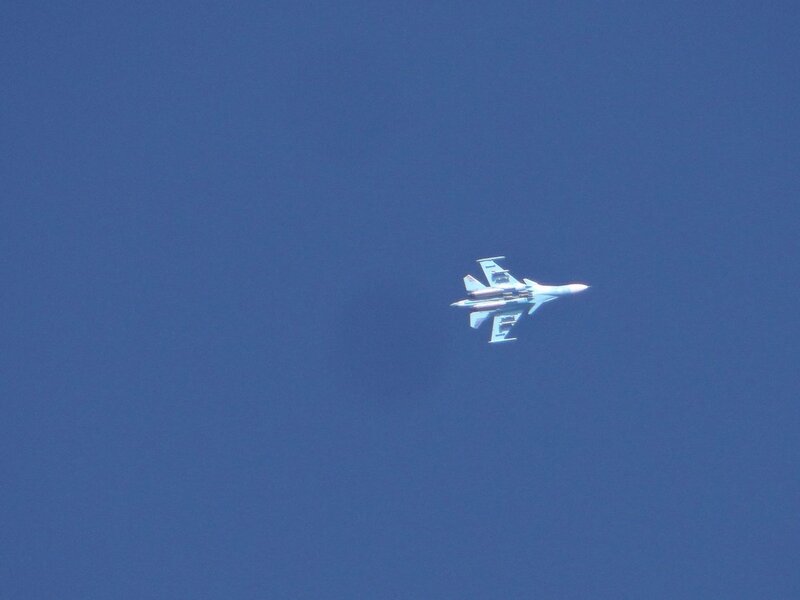 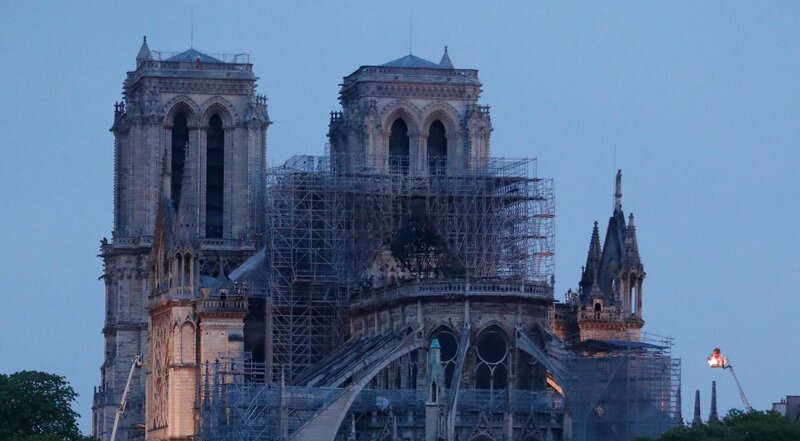 Photograph taken in the last hour this morning showing at least once of the Rosaces intact (although likely damaged). 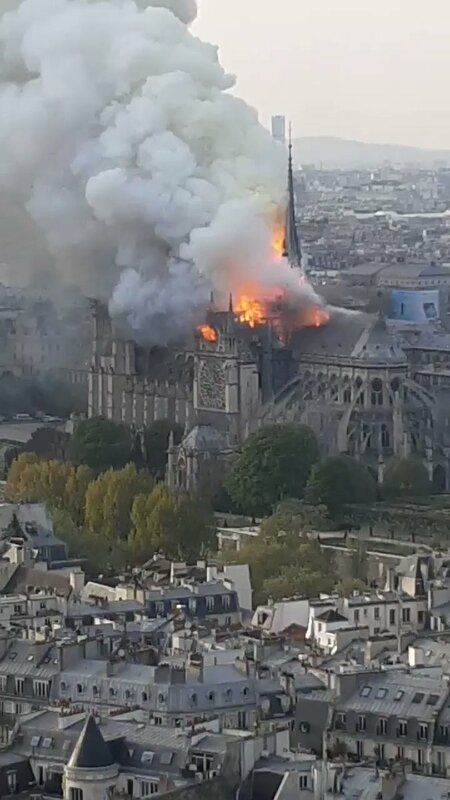 [email protected]: God bless the people of France. 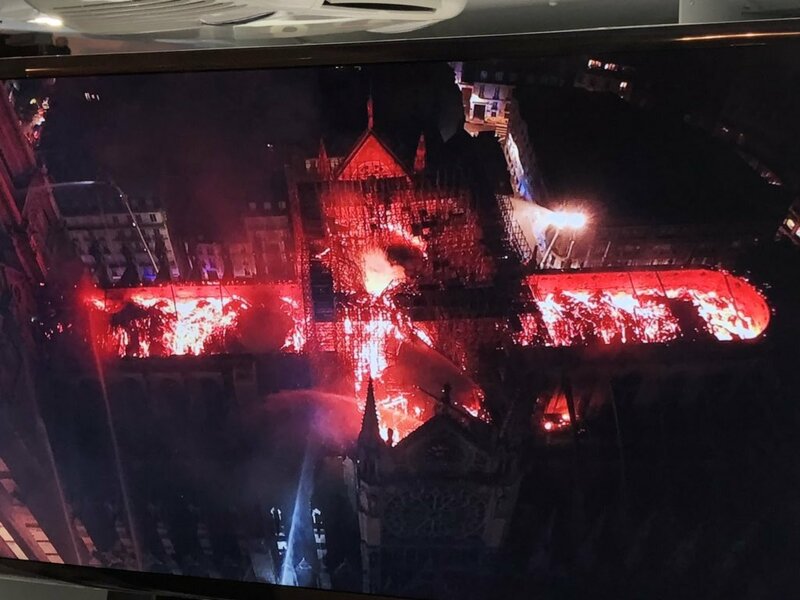 Notre Dame on fire seen from a French police drone. 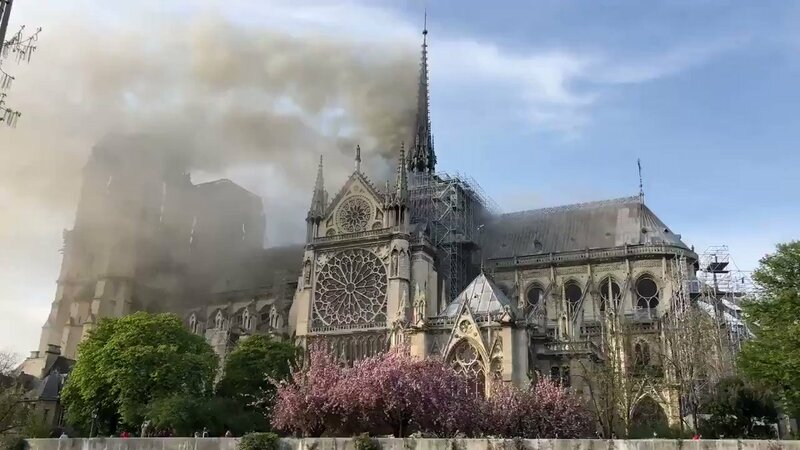 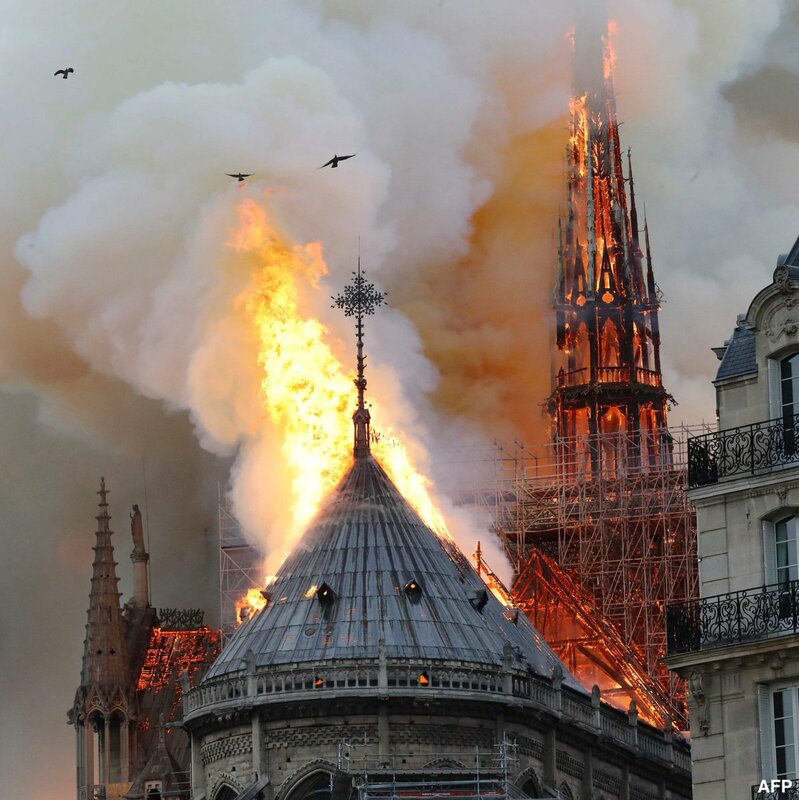 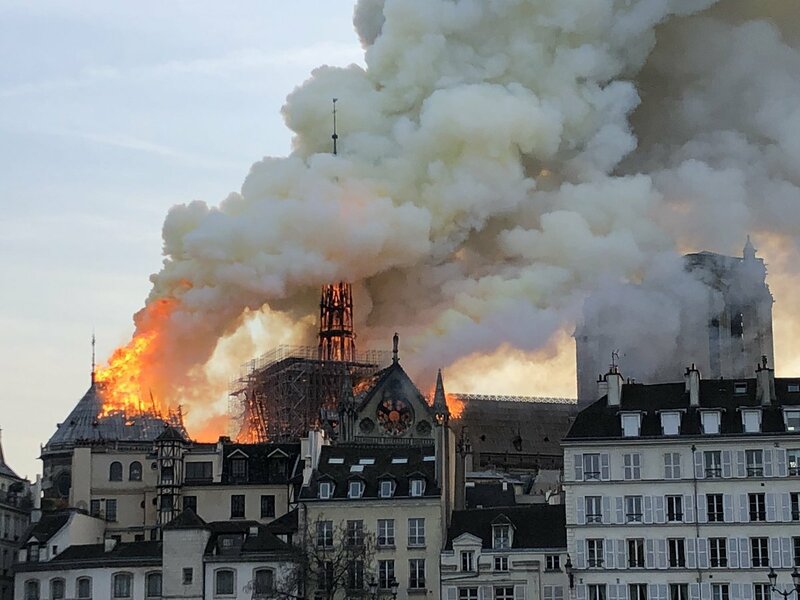 Statement from the Vatican reads, in part: 'The Holy See has seen with shock and sadness the news of the terrible fire that has devastated the Cathedral of Notre Dame, symbol of Christianity in France and in the world.' 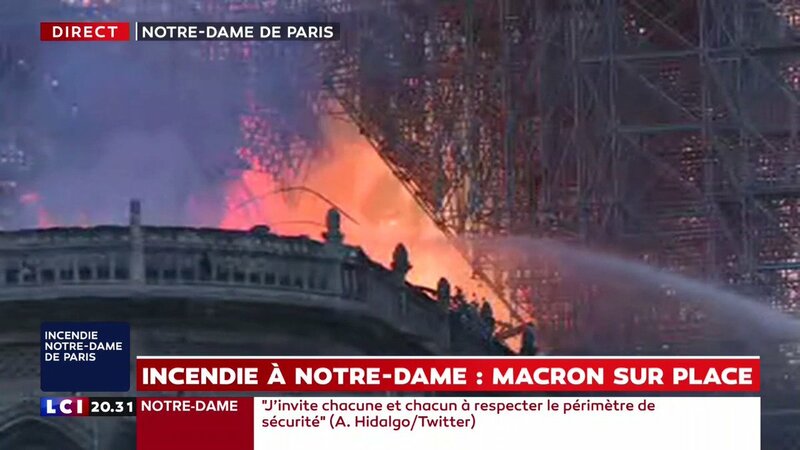 The statement says the Vatican is praying for firefighters. 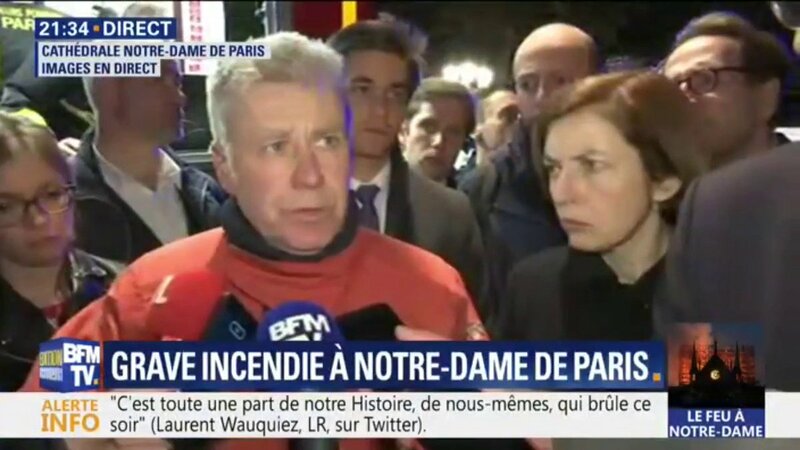 Notre-Dame de Paris: firefighters "not sure they can stop the spread of the fire"
Emmanuel Macron came and left, a little earlier, with his wife, Edouard Philippr and Anne Hidalgo.
. @VP Pence: Notre Dame is an iconic symbol of faith for people all over the world, and it is heartbreaking to see a house of God on fire. 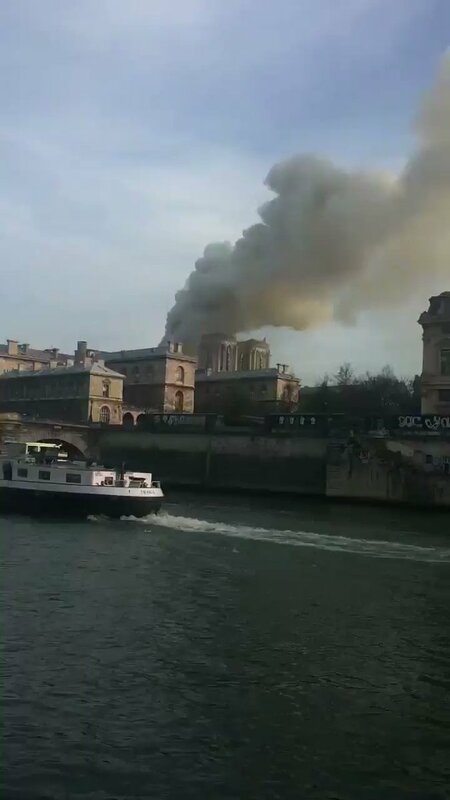 Our thoughts and prayers are with the firefighters on the scene and with all the people of Paris. 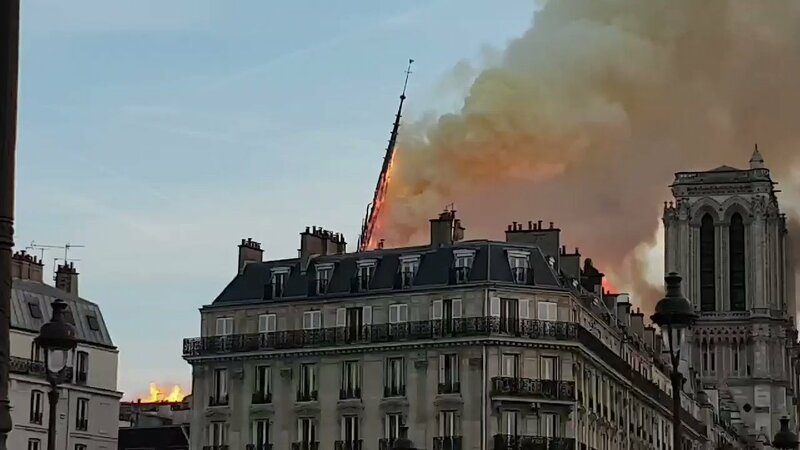 Notre Dame Cathedral on fire. 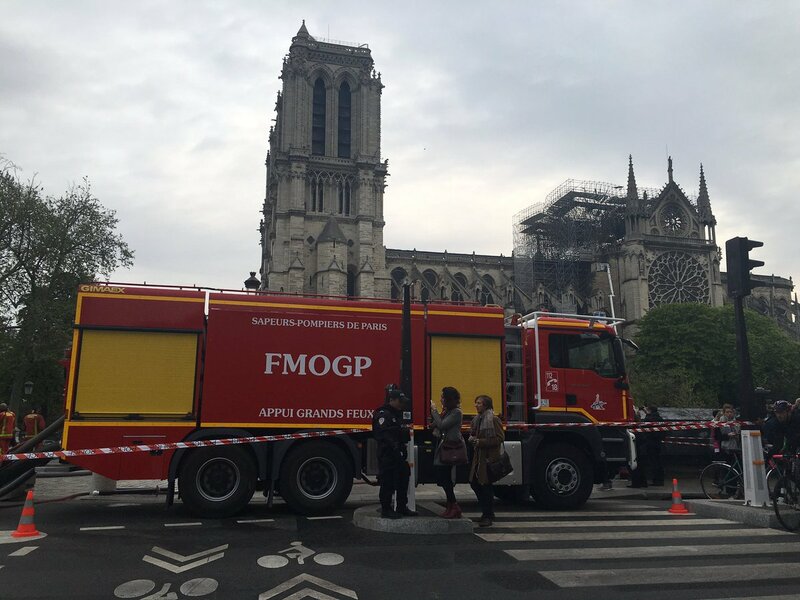 The fire hoses of firemen and ladders are too short. 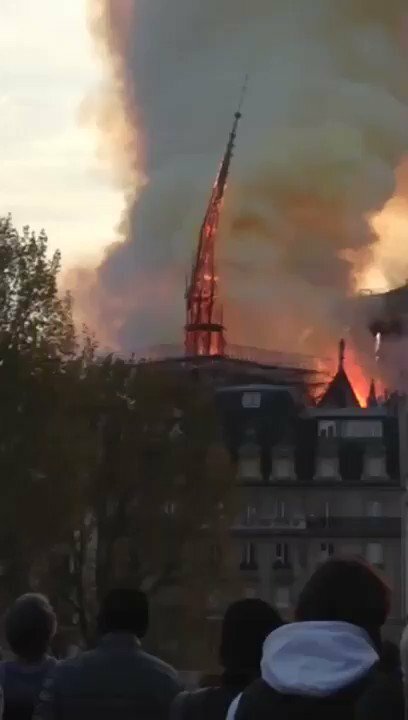 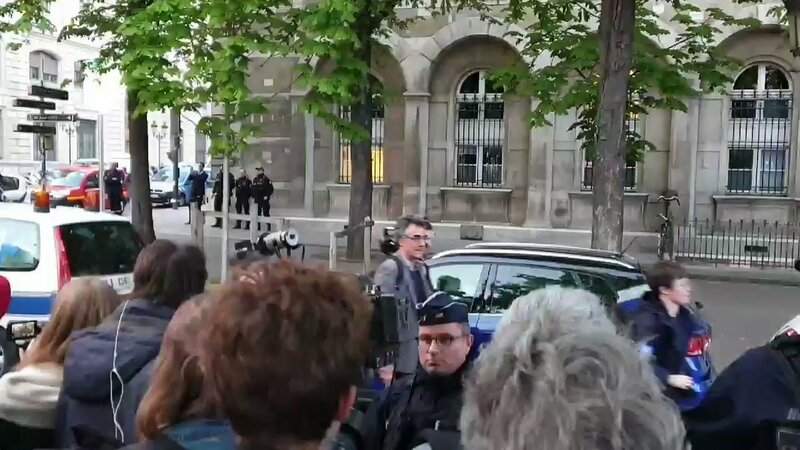 Fire at Notre-Dame de Paris: "The spire has collapsed, the frame is falling apart, parts of the frame are falling to the ground"
Macron: Notre-Dame de Paris in flames. 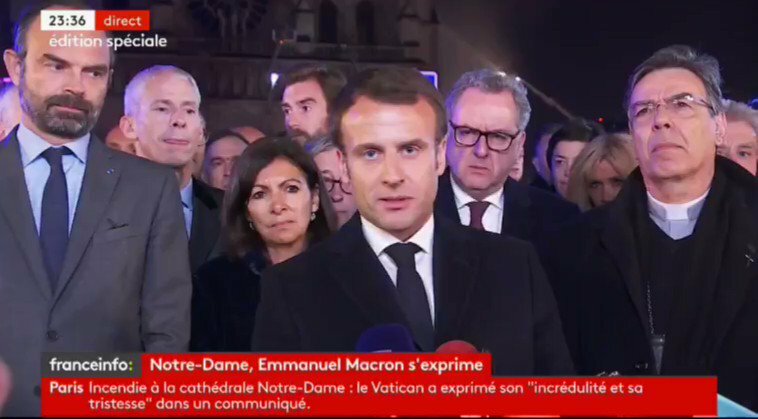 Emotion of a whole nation. 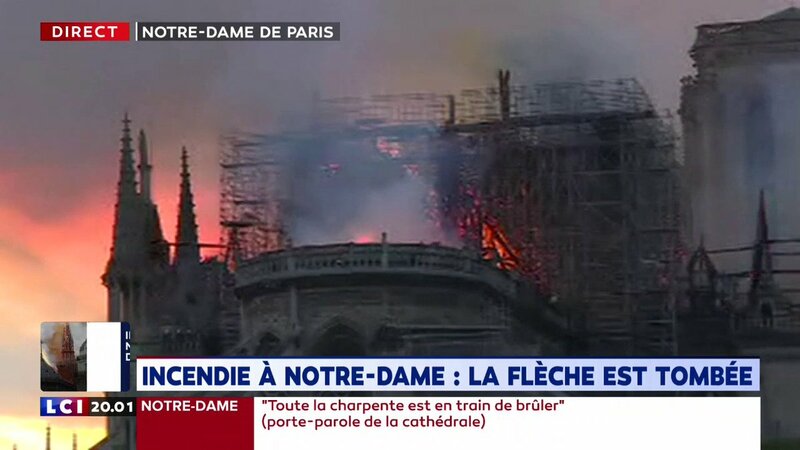 Thought for all Catholics and for all French. 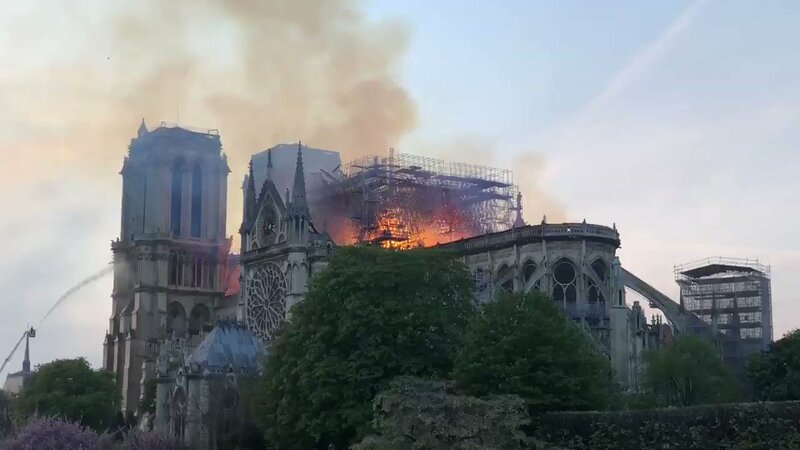 Like all our compatriots, I am sad tonight to see this part of us burn. 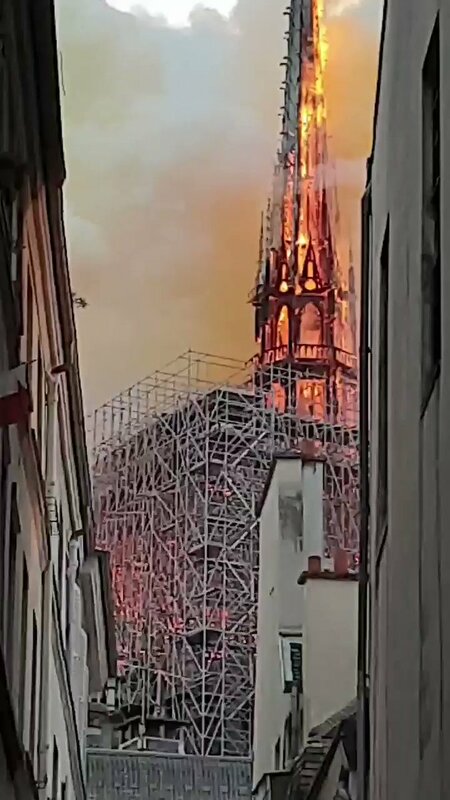 View from des Chantres street. 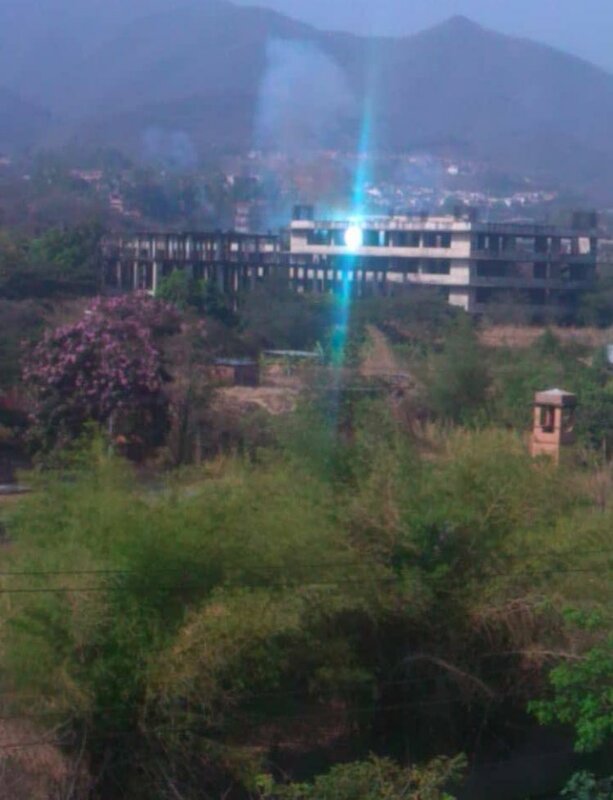 The arrow burns severely. 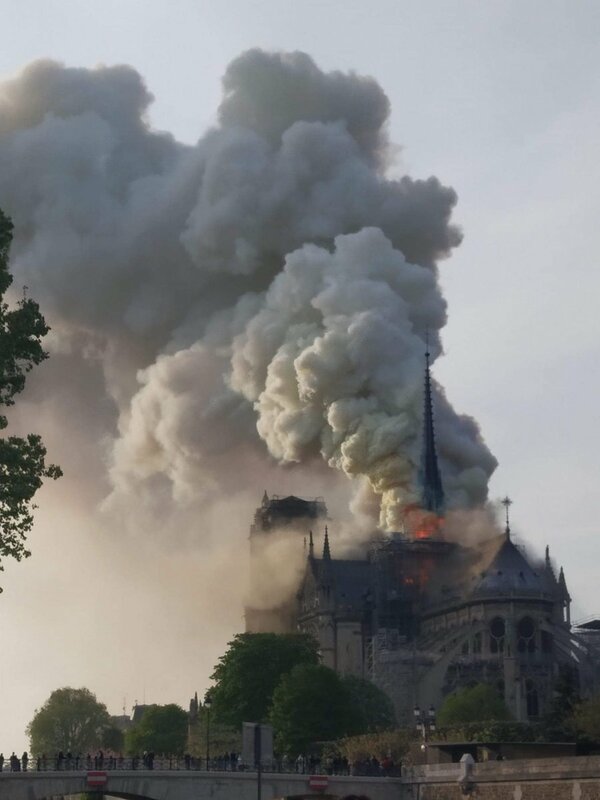 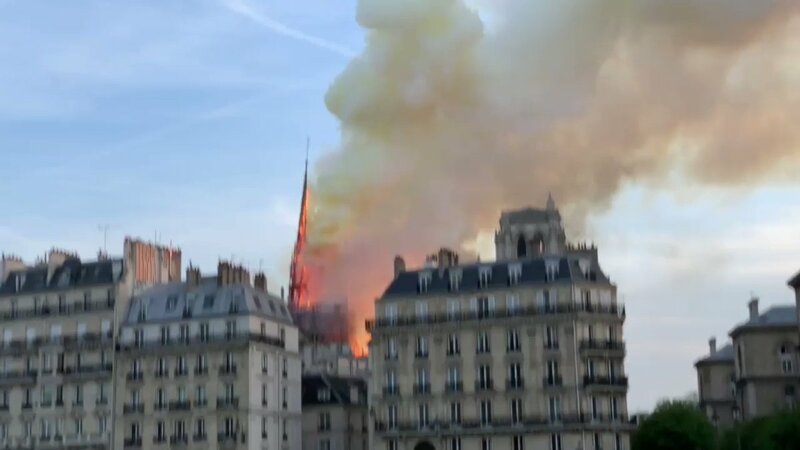 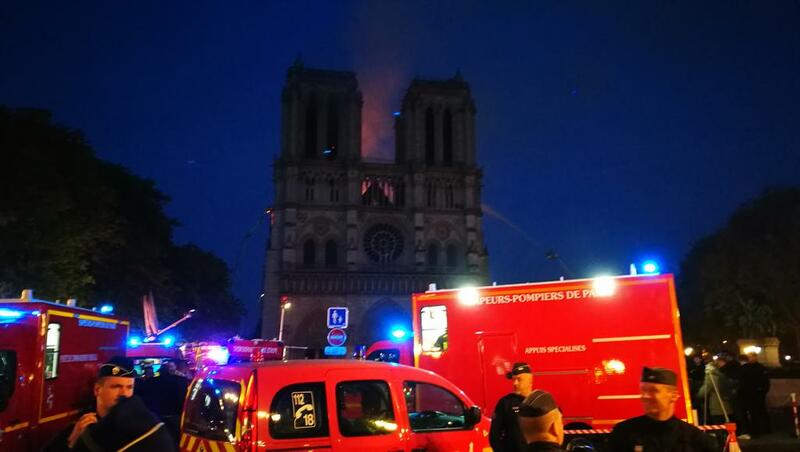 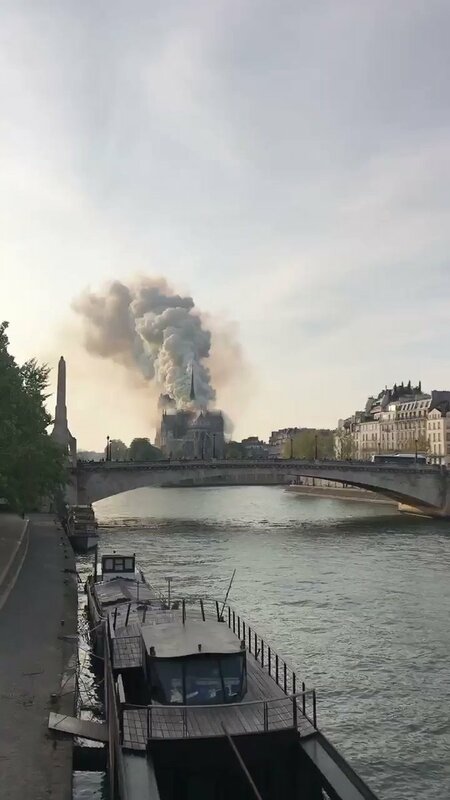 Fire at Notre Dame cathedral in Paris.